As a young girl, Terry Katz was given cardboard trees in school; each card was an opportunity to plant a tree in the new country of Israel. She took the responsibility of collecting the 10 dimes to fill each card very seriously, and planted more trees than anyone else in her class. Those days in Hebrew school collecting dimes to plant trees instilled in Katz a passion for Israel. "Israel is our homeland - for Jews all over the world - and JNF cares for the land and in turn for the people of Israel," she said. Her love of Israel was also reinforced at an early age by her close, Zionistic family. Her grandfather, who emigrated from Russia in the early 1890s, had the opportunity to hear Theodore Herzl speak about a homeland for the Jewish people. He felt strongly about this cause and in the early 1940s, he helped raise hundreds of thousands of dollars for the Jews in Palestine. He also hosted Shabbat dinners every week, which were attended by guests from all walks of life, including David Ben Gurion and Golda Meir. Katz remembers these dinners fondly: "I'm sure the experience of listening to these dynamic people speak with such passion about the need for our people influenced me." Her mother, Selma Katz, was always involved with various Jewish organizations, including Hadassah, American Friends of Technion, Israel Bonds, and Jewish National Fund (JNF). 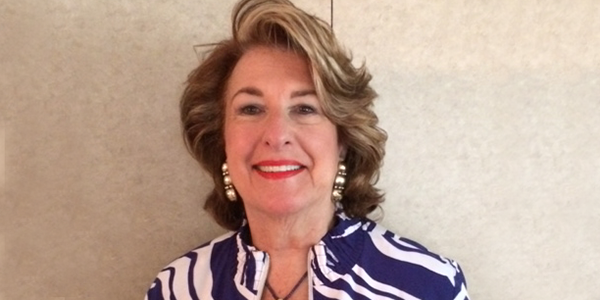 Terry has continued much of her mother's work with most of these groups and is a lifetime member of Hadassah and a member of the national and Philadephia boards of Women's Division of Israel Bonds. She has been deeply involved with JNF for over 30 years and currently serves on its national board. A founding member and past National Chair of JNF's Sapphire Society, the women's major gifts division, Katz was the recipient of the Heritage Award at JNF's National Conference in 2011. She has decided to take her passion for Israel one step further - by including JNF in her will. "JNF has been a strong and positive presence in my life since I was a child," said Katz. "Fortunately, my children have been provided for by their grandfather and father and I have informed them of my plans to leave my money to JNF." Katz feels extremely connected to the Red Mountain Therapeutic Riding Center at Kibbutz Grofit, a JNF partner, and Zuqim, the first new non-agricultural community in the Negev in the past quarter century that was made possible by JNF's Sapphire Society. By deciding to commit her money to JNF in her will, Katz is able to ensure that the people of Israel will continue to benefit from enhanced quality of life in these areas. "Everyone has to make end-of-life decisions, and I believe speaking about them now sets a pattern for the next generation," she said. "The world is changing drastically and quickly, and it is imperative that we protect our own people and continue to guarantee that our homeland will always be there. Investing in JNF is what makes sense for me; it will allow JNF to continue to touch the lives of Israelis for generations to come."